My latest distraction is working on Jokosher (formerly JonoEdit). 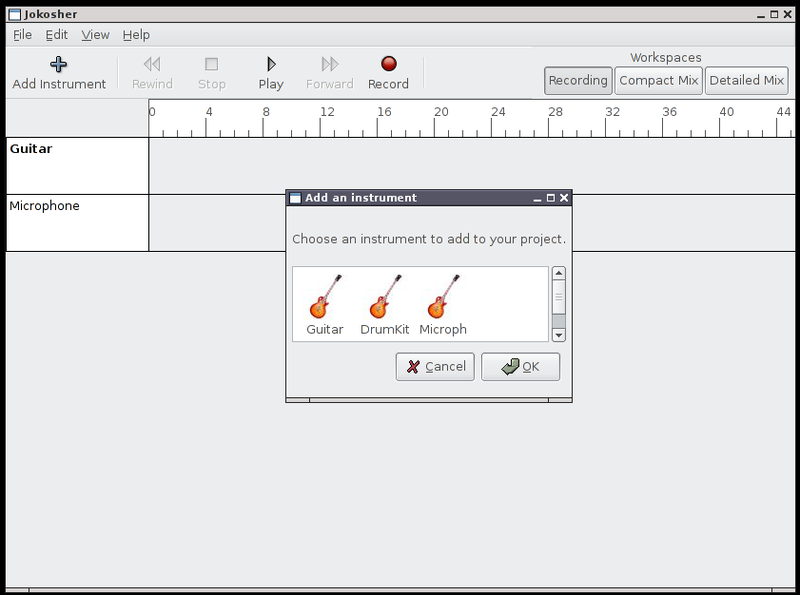 It’s a multi-track non-linear audio editor with a prime focus on usability. So far I’ve managed to get single-track recording working, and almost have mixed multi-track playback working. Jono‘s been hacking away on the interface while Micro and Jason have started working together on producing a Cairo based widget for displaying a graphical representation of the audio. Pretty much any assistance would be appreciated so anyone wanting to help would do well to check out the Getting Involved page. With a little luck I’ll have a multi-input sound card pretty soon, which’ll enable me to start work on the simultanious multi-input recording features.